Do you have big plans for your garden this summer? Are you thinking about entertaining out there but are worried about the size of your patio or the look of it. Maybe it looks a bit dated now and you want it to look as modern as it did when you had it laid in the first place. What about your driveway? Your driveway is the first thing people see when they look at your house, does your current one really represent you and your family the way it should? 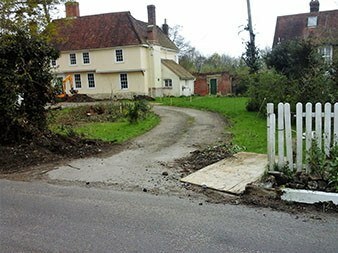 Could it do with a face lift, are the cracks starting to sprout weeds? Well we can help with any patio and driveway needs you may have, if you live in the Maidstone area then you are in luck, whether you need a completely new patio area space or an extension to an existing one, or even just a newer up to date material used we can do all this for you. 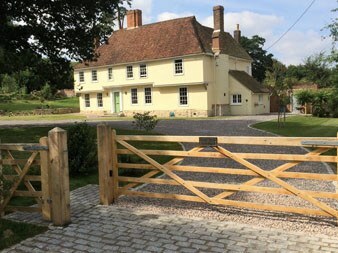 The same goes for your driveway as well, we can use materials such as block-paving and cost effective tarmac to bring your driveway back to a standard that best represents you, your family and your home the way it should. So if you have any driveway or patio issues then don’t wait for them to get worse, give us a call to find out what we can do for you. Our team can give you expert advice on keeping your patio looking great for many years to come and we love starting long term relationships with our customers and coming round and maintaining your patios and driveways for you.